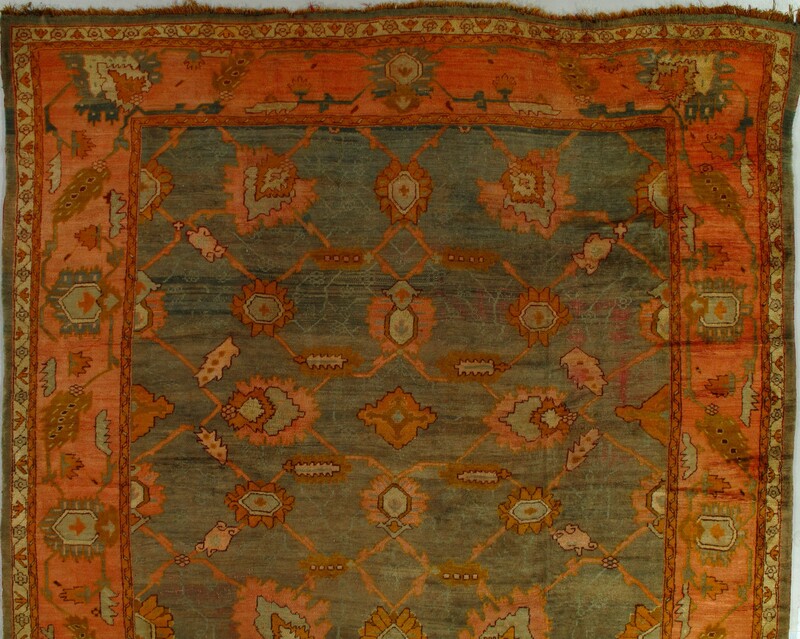 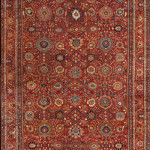 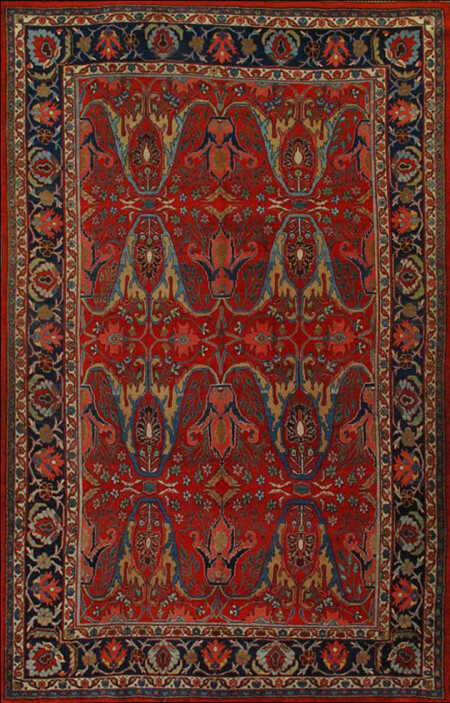 The attractively abrashed blue-green field of this antique Oushak carpet displays an open allover arrangement of several types of rustic palmettes connected by a spare diagonal lattice and interspersed with thick, curved leaves floating about. 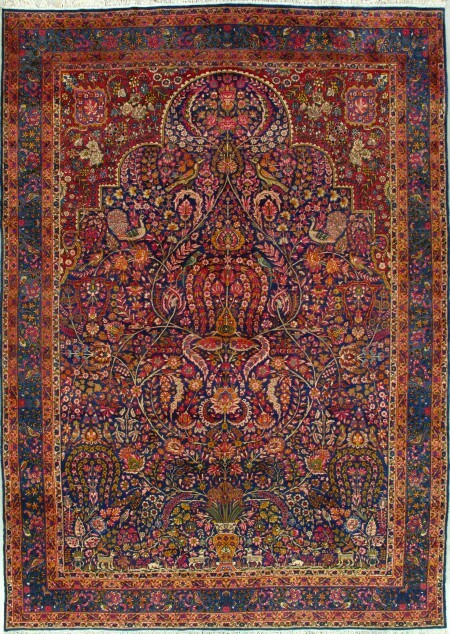 The design derives ultimately from the Persian “harshang”, but here it has a less cluttered, more stripped down and modern look. The salmon main border continues the palmette motif with the addition of diagonally placed leaves. 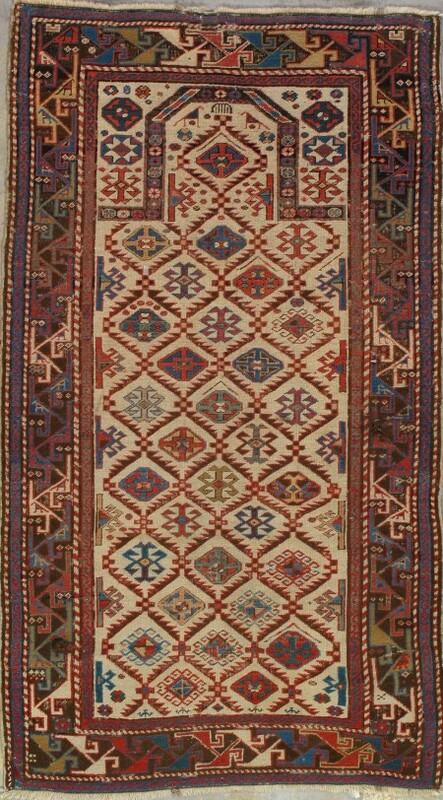 Again, there is plenty of space a proper appreciation of the bold design elements. 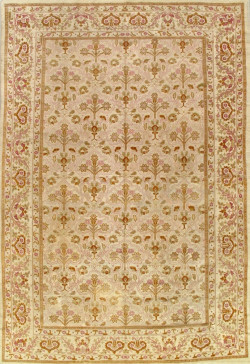 Nothing busy or overly complicated interferes with the powerful decorative effect. 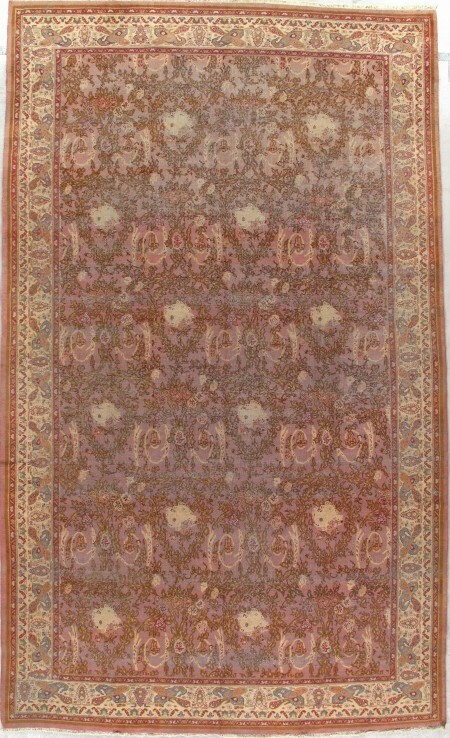 C. 1900 Oushaks are justly famous for their idiosyncratic colour schemes, and peach, sky blue, orange, golden yellow, salmon,pea green and other extremely unusual field and border tones appear only on these carpets.